Alex Schroeder is a digital producer for On Point. He joined the show full-time in 2018 after working at WBUR for two years in various freelance roles in both digital and radio production. 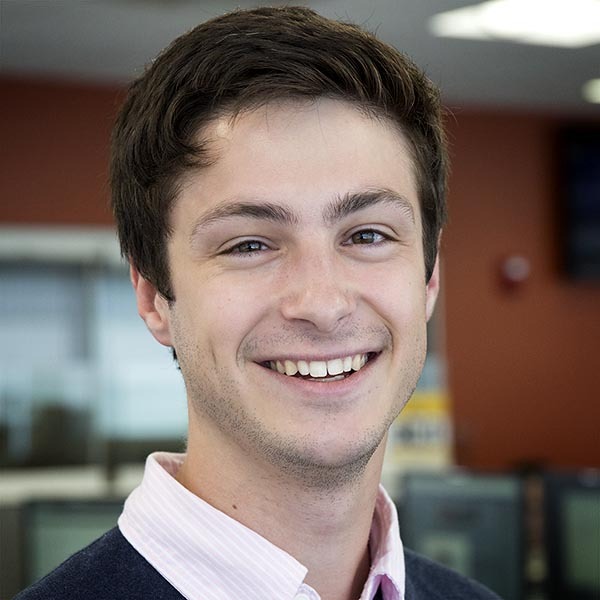 Alex owes his start at WBUR to an internship with Only A Game during his senior year at Tufts University, where he studied English. Returning to Only A Game after graduation, Alex produced stories on everything from Kareem Abdul-Jabbar to one undocumented immigrant's journey to go to college in the U.S.
Alex also worked at Here & Now as a digital producer and at The Boston Globe as a sports and metro correspondent during his freelance stint. Now, he spends his time building posts on WordPress, writing screenplays, and playing pickup basketball.